Put a sock on it. No more cause for complaint with this knee-length bike sock that offers different degrees of padding to optimally alleviate the pressures on your foot while riding. Helping to relieve the pressure points on the heel, instep, toe and sole of your forefoot. The knee sock also has a slight compression to promote blood circulation in the lower leg. 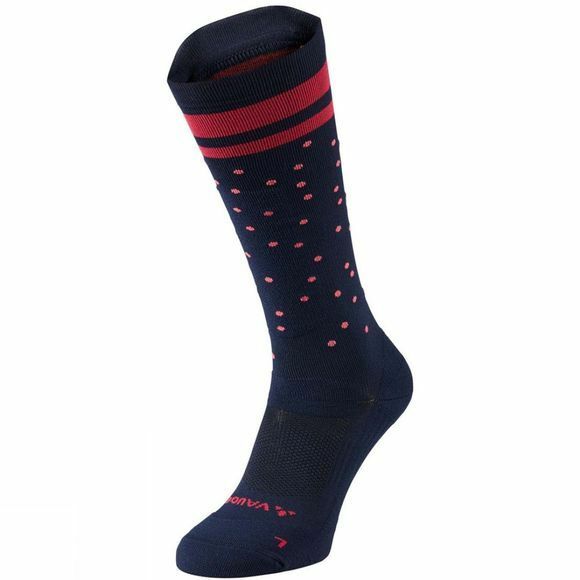 The performance material blend of the Bike Sock Long ensures a comfortable foot climate and is extremely durable. Green Shape is Vaude's guarantee of environmentally friendly products – made from sustainable materials, resource efficient manufacturing and fair production.